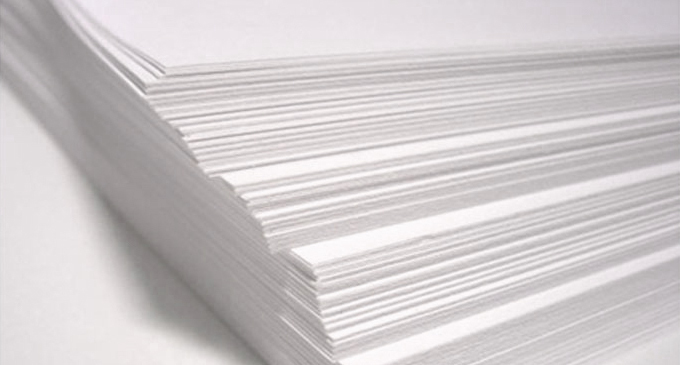 Paper materials are classified by weight, coating, and finish. All papers are manufactured with a weight and a coating, while finishes are applied after printing. Paper weight is the thickness of a chosen paper stock, stated as a number and a category. Text stock: Measured in Grams per Square Meter (GSM ). 80 gsm, 90 gsm and 100 gsm etc. These papers are most often used for inside pages. Cover stock: Measured in Grams per Square Meter (GSM ), 200 gsm, 250 gsm, 300 gsm etc. These papers are most often used for cover pages. Mainly used for normal document printing and photocopying in offices. This versatile, medium weight paper is commonly used for magazines, catalogs, and booklets of all varieties. It is also our recommended inside paper weight for hardcover books. This is suitable for the inside pages of children’s books or coffee table books that want an extra-heavy page feel. It also works well as a cover stock for many saddle stitched projects. Mainly used as cover stock in medium thick booklets. A medium weight cover stock often used as the cover paper for trade paperbacks, graphic novels, and many perfect bound projects. Mainly used for premium business cards and gift vouchers. The thickness offers a premium look. Paper coating is the chemical coating applied to a paper during the manufacturing process. Paper finish is applied to a finished printed product to seal in the ink and increase durability, stated as a finish style and type. Finishes are usually only applied to business cards, specialised prints and cover pages. (e.g. gloss lamination, matte varnish, UV varnish).